Join us on Saturday, February 23rd, to walk, jog or run in our 4th annual “Once Around the Block to Fight Hunger” 5K. Register at Active.com and use the keyword Manatee or complete the registration form and return it to us at Manatee Academy. Participate in our spirited dress-up week to support our Red Ribbon Week Campaign! – Red Ribbon Week 2018 Life is a Journey, Travel Drug Free. October 3rd: Kindergarten – 5th Grades October 4th: 6th – 8th Grades You can order online at www.mylifetouch.com. September Events: International Dot Day – Friday, September 14th, Talk-Like-A-Pirate Day – Friday, September 21st, Banned Book Week for grades 6th – 8th – September 24th – 27th, See Mrs. Remington for Details. 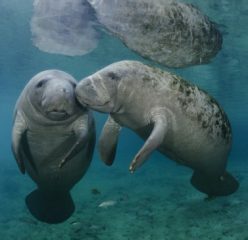 Check out the Manatee experience!